Padmanee Sharma is a leading figure in oncology, specialising in renal, bladder and prostate cancer. Her prime focus is to understand the mechanisms and pathways within the immune system responsible for tumour rejection. Since 2005 she has been a principal investigator for several clinical trials launched to improve the efficacy of cancer immunotherapies. Driven by the desperation of her cancer patients, much of Sharma’s high-flying career is down to the strong determination she developed to overcome the poverty and hardships she faced as the child of Indo-Guyanese immigrants who settled in New York when she was 10 years old. Padmanee Sharma grew up in Guyana until she was 10 years old. Both her parents were the descendants of indentured immigrants, imported by the British from the Indian subcontinent to work on the sugarcane plantations in the Caribbean, after the abolition of slavery in British colonies in 1838. Nearly 240,000 Indian indentured labourers were brought to British Guiana over the course of two-thirds of century, many of whom were kidnapped or recruited under false pretences. All were forced to work in conditions reminiscent of slavery. Of those who survived the system, halted in 1917, only a third managed to return to their original birthplace. The rest, including Sharma’s family, remained, constituting the largest population in Guyana. Sharma’s parents grew up in the same village, Berbice, and met each other at the local school. Each of them came from very different backgrounds. Sharma’s mother, the second eldest of 12 children, grew up in a conventional Muslim family that was incredibly poor. By contrast, Sharma’s father was born into a Hindu family whose father was a powerful religious figurehead in the village. At the time of meeting Sharma’s mother he was being prepared by his family to be sent to London to train in law. He never made it to law school, however, because he married Sharma’s mother. This resulted in his family cutting him off. Once married, Sharma’s parents moved to Georgetown, the city where she was born and her brother a year later. Life for the couple was incredibly hard because they had no financial or family support. Eventually, Sharma’s father managed to get a job after going to trade school and worked his way up to become an electrical engineer with a government company. By the late 1970s, however, it was clear that the family could no longer remain in Guyana because of the country’s political turmoil following the country’s Independence and its deepening economic crisis. Thus, in 1980, like many other Indo-Guyanese they decided to go to New York where Sharma’s maternal grandmother had settled five years earlier. The family took up residence in a small basement apartment in the midst of a tight-knit Indo-Guyanese immigrant community based in Queens, a New York neighbourhood. Coming from the hot tropical climate of Guyana one of Sharma’s strongest memories is of arriving in New York was when she saw snow for the very first time. As she says ‘it blew me away, it was like magic’. She especially liked watching her gloves change colour and have hearts appear when they came into contact with the snow. Adapting to life in the new country was nonetheless far from easy for Sharma and her family. Having left behind a well-paid electrical engineering position in Guyana, Sharma’s father initially struggled to find work. In order to make ends meet, he and his wife were thus forced to take on 3 or 4 menial jobs at a time. With her parents never home, Sharma was left to take care of her younger brother who, being a shy child, often got bullied when walking to school. After a few years Sharma’s father finally secured a job at Con Edison, an electrical company in New York. By then, however, the struggle of the intervening years had taken a toll on his psychological health. Often drinking to cope, he took out his frustrations of having had had to start all over again on his family, especially his wife who became very afraid of him. This was not easy for Sharma who became highly protective of her mother. Having witnessed her mother’s difficulties, Sharma developed an early determination to become independent and stand on her own two feet. Sharma dreamed of becoming a doctor. Her desire to train as a physician started after she spent 3 months in hospital in a coma when she was 7 years old. This happened after she fell down twenty-six steps in front of her family home. While the accident left her with a scar and some sensory loss in her left arm, which she broke in her fall, it ignited her desire to help people just as one particular doctor had cared for her during her ordeal. She fondly remembers him carrying her around the hospital on his shoulders. Sharma became engaged at 19 years old to Larry, a young British IT specialist of mixed heritage consisting of a Spanish mother and Indo-Guyanese father. The couple finally married in 1993, when Sharma was 23 years old. This was two years after Sharma had finished her master's degree. In April 1996 she gave birth to her first daughter. It was just before she finished her medical training. She went on to have two more daughters in quick succession in January 1998 and September 1999. Like many other women, Sharma found it difficult to balance the demands of her career with family life. Often not home till very late at night and frequently needing to travel abroad inevitably took its toll on her relationship with her daughters. They only understood and valued her work once they were much older. The pressures of Sharma’s career also put a strain on her marriage, which ended in 2006. Looking back, Sharma believes things might have been different had she been more honest with herself and Larry before their marriage about her career ambitions. Sharma could not contemplate marriage again for many years after her divorce. Sharma’s second marriage took place in 2014. This was to Jim Allison, an immunologist renowned for developing the first immune immune checkpoint inhibitor to treat cancer, for which he subsequently won the Nobel Prize. The two of them first met after a meeting in 2004. She approached him to write her a letter of recommendation for a grant application she was putting together. It was to study the effect of a T cell protein called inducible T cell co-stimulator, or ICOS. She had found the protein appeared to boost the efficacy of an antibody directed against CTLA-4, an immunotherapeutic agent developed by Allison. Asking such a favour from Allison was a very bold move given Sharma's junior position and the fact he had never met her before. He, however, was highly impressed by her proposal so agreed. It marked the beginning of many highly productive research collaborations. Sharma clicked immediately with Allison at both the professional and personal level, both of them sharing an obsession for T-cells. Yet, she was keen to maintain her independence. This was because, being a woman and more junior in position, she understood the need to make her own mark in the scientific world and wanted to be made full professor on her own merits. Allison understood her position. They finally married after she gained tenure as full professor. In addition to their passion for science, Sharma and Allison enjoy rock/blues music. Eager to escape the tensions at home and the strong patriarchal attitudes of her father, the one place where Sharma found a haven of peace when she arrived in New York was at school. She quickly became a stand-out student and won the attention of her teachers. This was helped by the fact that her Guyanese education put her slightly ahead of her peers, especially in maths. When Sharma turned 14 she moved to Hillcrest High School, a public high school in Queens, where she entered the school’s pre-med programme. This gave her the opportunity to take specialised science classes which she immediately loved. She particularly enjoyed the classes in biology and anatomy for which she had a very good teacher. The pre-med programme also provided summer courses, which gave her the chance to learn electron microscopy and do hospital placements. By the time Sharma finished school she had won a number of awards in science and could not imagine doing anything else. Encouraged by her teachers to go to university, she landed up going to Boston University to study biology. She soon became hooked on immunology after taking an undergraduate course in the subject. Her interest in the area was reinforced by a stint she did in a laboratory at Dana-Farber Cancer Institute, where she became involved in research to understand the signalling of T cells. Produced in the thymus, T cells are a type of white blood cell that are important to the body’s defence system. By 1991 Sharma had finished both an undergraduate and a masters degree at Boston University. She then went to Pennsylvania State University College of Medicine to start her medical training and do a doctorate in immunology. These she completed in 1998. In July 1998, just after she had given birth to her second daughter, Sharma took up a clinical residency in internal medicine in New York Hospital, affiliated with Cornell Medical Center. To her complete surprise, nine months into her clinical residency, Sharma was contacted by Lloyd Old. He was a key pioneer of tumour immunology who led the development of the tuberculosis vaccine (BCG) for the treatment of bladder cancer, approved in 1990. One of the reasons Old wanted to talk to Sharma was because he had just read one of the papers she had written as a lead author while doing her doctorate. It concerned the thymus-leukaemia (TL) antigen, a cell-surface marker, that Old had first identified in the late 1960s. Importantly Sharma’s paper highlighted the fact that the antigen could stimulate T cells to destroy specific target cells (Sharma et al, 1996). Old was so impressed with Sharma’s work, that he invited her to take up a fellowship in medical oncology in his laboratory at the Memorial Sloan-Kettering Cancer Center (MSKCC). Sharma was highly excited by his offer, but was unable to take up the fellowship immediately because she had yet to finish her residency and was pregnant with her third child. She finally started the fellowship in June 2000 after finding a way to fast-track her residency. Despite her progress, it had become clear to Sharma by July 2004 that she would not get a faculty position at the MSKCC. This was despite the fact that Old wanted her to remain to pursue clinical trials with the NY-ESO-1 vaccine, for which she had received a ASCO Young Investigator Award in 2003. With Old’s encouragement, she decided to accept a position offered to her at the University of Texas MD Anderson Cancer Center (MDACC) after giving a seminar there. While initially reluctant to uproot her family from New York to Houston, Sharma was quickly enticed by Chris Logothetis, Chair of GU Medical Oncology, and the laboratory facilities and office space on offer to her at MD Anderson. 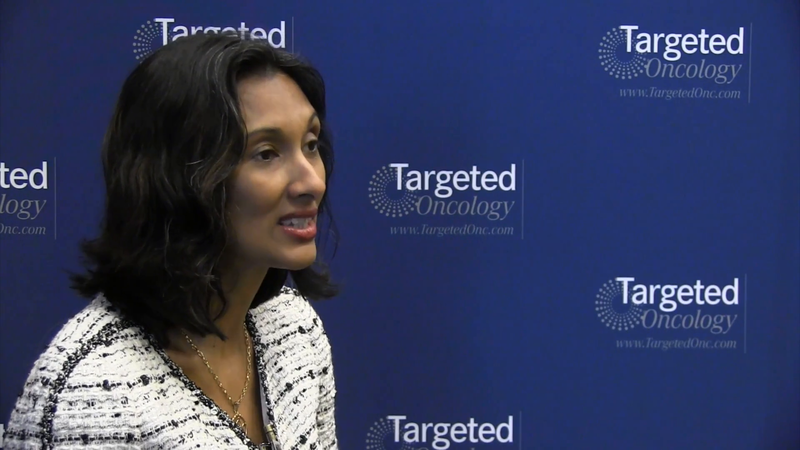 Sharma has remained at MD Anderson to this day, where she leads her own laboratory. In addition to running clinical trials of immune-based treatments, she conducts laboratory research on collected patient samples to understand the effect of the immunotherapies on the immune system and tumour biology. Sharma was the first scientist to show that anti-CTLA-4 therapy increases the frequency of T cells that express the inducible co-stimulator (ICOS) protein, with subsequent work showing that ICOS+ T cells were necessary for optimal destruction of the tumour cells. Designed by Allison, the anti-CTLA-4 treatment uses an antibody to block inhibitory proteins on T cells that restrict T cell responses. Sharma first first noticed the ICOS effect while at the MDACC, in 2006, when examining the peripheral blood and tumour tissues taken from some patients with localised bladder cancer treated with the anti-CTLA-4 therapy. Her subsequent experiments with transgenic mice showed that the ICOS molecule and its ligand (ICOSL) are a crucial player in optimising the anti-tumour responses mediated by the anti-CTLA-4 antibody. First published in 2008, (Liakou et al) Sharma’s finding has provided an important pathway to improving the clinical efficacy of anti-CTLA-4 therapy, first approved by the FDA in 2011 for metastatic melanoma. Research is now underway to find a way of coupling the anti-CTLA-4 antibody with other molecules to enhance the anti-tumour action mediated by the ICOS protein. One of the major issues now confronting the pioneers of immunotherapy is that such treatment has so far only benefited a subset of patients. In order to solve this problem Sharma has developed a strategy for the close monitoring of tumours in various stages of treatment. This involves scrutinising tissues taken from patients before and after treatment to pinpoint exactly why only some patients respond to immunotherapy. Such work is vital to the design of better treatment in the future. Her strategy is now being used to analyse the effectiveness of different immunotherapy treatments in about a 100 clinical trials at MD Anderson. 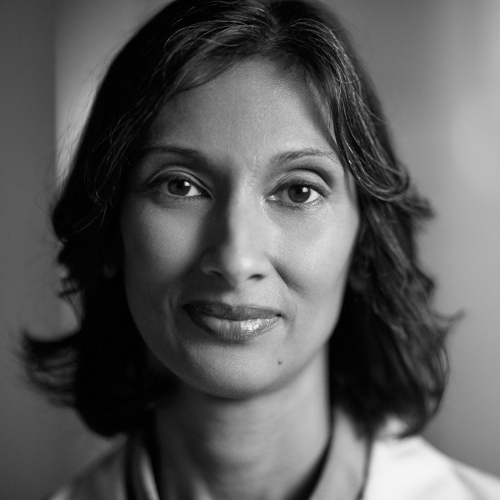 Sharma has received numerous awards in her field, including the Doris Duke Clinical Scientist Development Award (2002), the American Society of Clinical Oncology Young Investigators Award (2003) and the Melanoma Research Alliance Young Investigator Award (2008). She was also recipient of the Doris Duke Clinical Scientist Development Award (2008), the Prostate Cancer Foundation Challenge Award in Immunology (2008), the MD Anderson Cancer Center Faculty Scholar Award (2012) and the Emil Frei Award for Excellence in Translational Research (2016). She was also inducted into the American Society for Clinical Investigation (ASCI) in 2018. This profile was written by Lara Marks with generous input from Padmanee Sharma. CI Liakou et al, ‘CTLA-4 blockade increases IFNgamma-producing CD4+ICOShi T cells to shift the ratio of effector to regulatory T cells in cancer patients’, Proc Natl Acad Sci U.S.A, 105/39 (Sept 2008), 14987-92. P. Sharma et al, ‘Thymus-leukaemia antigen interacts with T cells and self-peptides’, Journal Immunology, 156 (1996), 987-96. P. Sharma et al, ‘Frequency of NY-ESO-1 and LAGE-1 expression in bladder cancer and evidence of a new NY-ESO-1 T-cell epitope in a patient with bladder cancer’, Cancer Immunology, 3 (Dec 13 2003), 19.